I have a small addition to previous post about taxes in Switzerland, well in Basel-Stadt. Everything is of course true, but I have some other interesting points. On Wednesday, I was talking with some locals and also foreigners, who moved to Basel, so they have experience as well from other countries. Taxes in Switzerland are low. Yes, you will pay car tax, immovable property tax and account balance tax, but these taxes are very low. 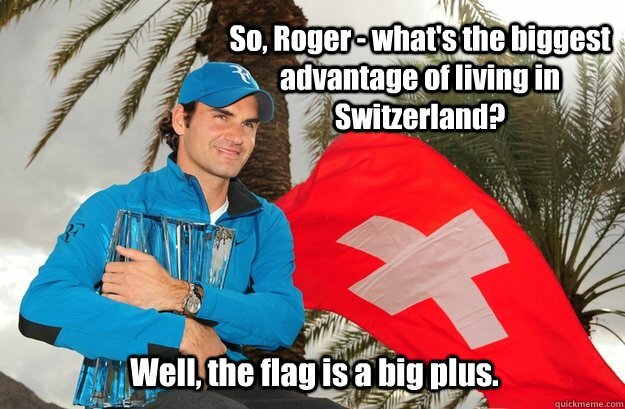 If common Swiss person add up all paid taxes (excluding VAT and excise tax), he will get at about 15 % of his income. If the person makes higher-than-average wage, he will pay about 20 %. According to the others, this is much less than in Germany, France or United Kingdom. For non-Czech readers, it is also less than in the Czech Republic. Swiss government is supporting married couples with children, they have to pay less. But Swiss government is also old-fashioned, because married couples without children are disadvantaged on the contrary and their taxes are higher than if they would be two single persons. So, don’t get marry in Switzerland, if you don’t want kids. Price of Electronics is in Switzerland actually quite low. According to locals, it is cheaper than in Germany. If I compare prices, I must admit, that even cheaper than in the Czech Republic. The cheapest are usually the same or the cheapest models are not available, for example the cheapest tablet in CZ is from 48 CHF, but these models I was unable to find in Swiss shops. The cheapest one in CH is Prestigio MultiPad 7.0 Ultra+ and costs 77 CHF which is the same price as in CZ. This became more interesting, when you choose something more expensive, see following table. Wage is in Czech Republic much lower than in Switzerland. According to Wikipedia, average net wage in CZ is €705 and in CH is €4047 – almost 6 times more, so electronics is really cheap here. One of the reasons will be probably lower VAT – in CZ is 21 %, in CH only 8 %. Goods were chosen more or less randomly. I was mainly trying to find the exact same products, to be able to compare prices. I used the cheaper from these stores: microspot.ch, digitec.ch, czc.cz and alza.cz. Those two Swiss shops were recommended by locals. Prices were rounded to whole CHF and 1 CHF = 23 CZK.